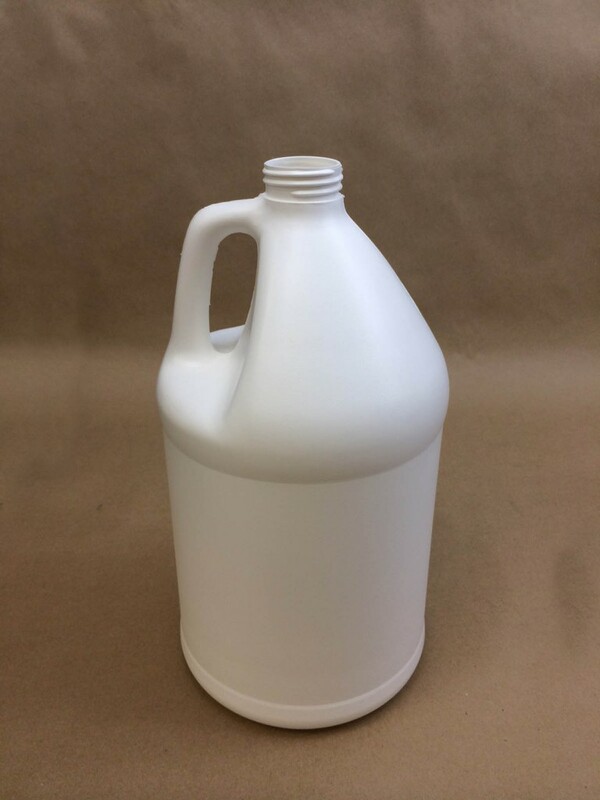 Our 128 ounce plastic jugs are available in both natural high density polyethylene (item# HSP-ICG-N30-120) and white high density polyethylene (item# HSP-ICG-W30-120). 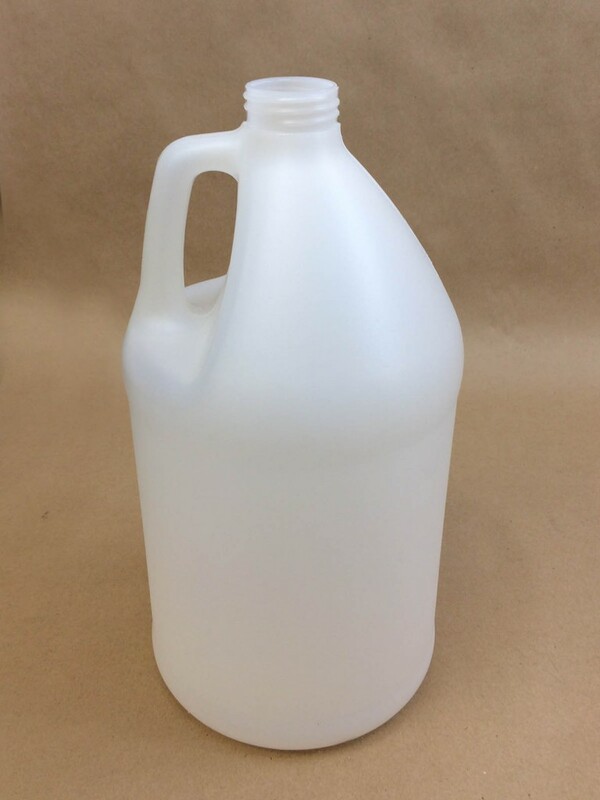 The natural jugs are translucent. Both have a narrow mouth (38400) and a handle for pouring. Caps are sold separately. 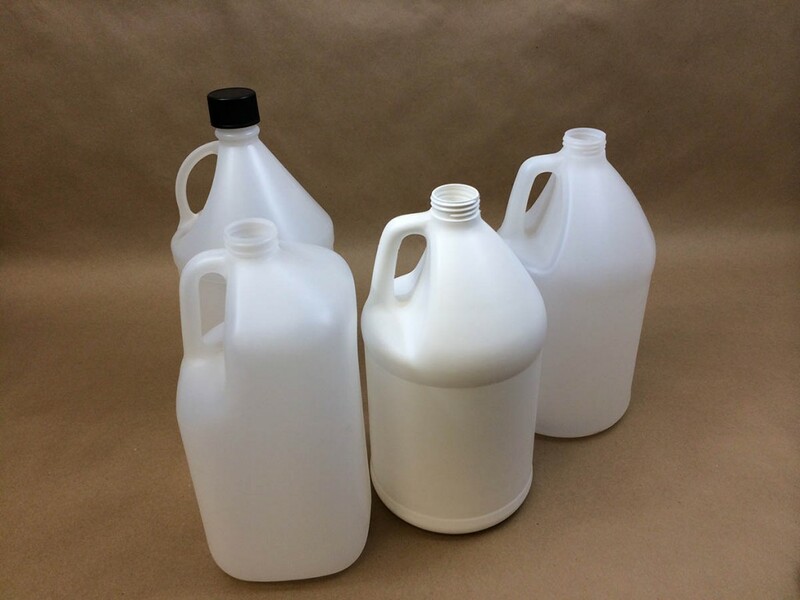 These durable containers are sometimes referred to as “industrial round plastic bottles” or “utility jugs.” They are often used to mix, transport and store various liquids.